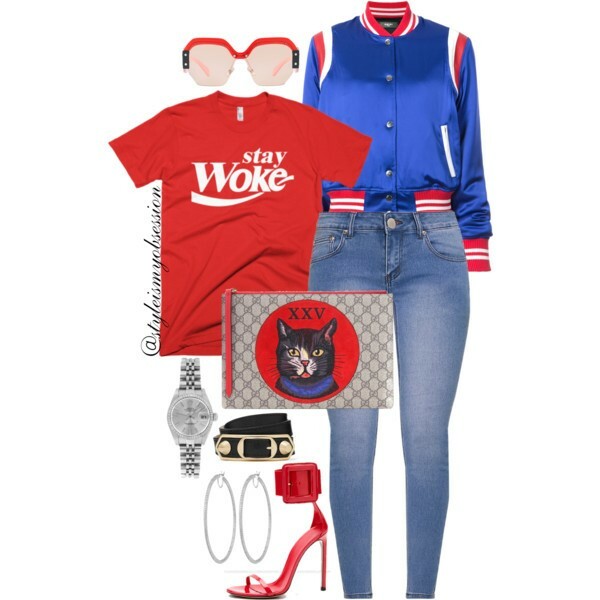 Prepping for the weekend in style with today's "woke" outfit idea. Make a statement in a red, white, and blue satin bomber jacket dressed with a red slogan print t-shirt and blue skinny jeans. Add the finishing touch to this casual look with a pair of red patent leather strappy sandals, a canvas logo print clutch, and red oversize sunglasses. What do you think? Are you feeling today's look?